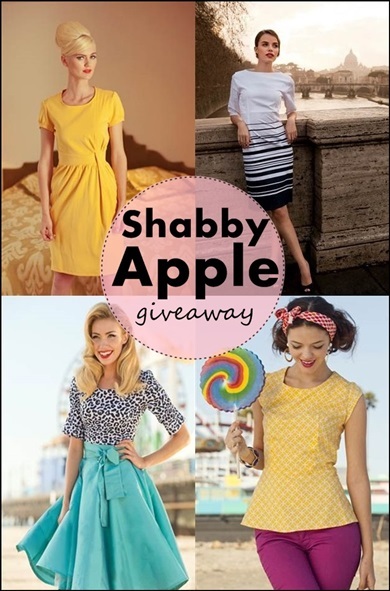 This week’s giveaway comes from Shabby Apple – a fabulous online store for retro chic fashion. Specializing in vintage wear, they offer one-of-kind pieces that will make you feel super glam – just like you’re channeling your favorite Mad Men leading lady! The Heart of Me Dress is beautiful! I love the Mainline Dress!! Love the Tinsel Town Skirt! I love the jacobethan jersey dress..and the retro swimsuits are so cute too!!! I'd rock the Sugar Cone top! I love the Looff's Pier Blouse. The blue racer skirt is amazing! The Conductor dress is my fav. I like the Santa Monica dress! I love the Maxi dresses! The Calloh! Callay! dress is what I'd get 'cause it's my favorite! Thanks for the awesome giveaway! I love the Bampton dress! I love the Pier Patrol dress! I am in love with the One For My Baby dress! I totally adore the I'm Late I'm Late dress. I love the merry go round skirt! Loving the Sicily maternity dress!